Today we’re interviewing a network that specializes in mobile content offers and I recently saw them in a conference in 2018. Mobipium is a company that also recently opened its doors to affiliates but they have time buying traffic with their internal team. I decided to interview Florencia Savasi, business developer at Mobipium so she could tell us more about their offers and how they work. Hope you like the interview! 1. 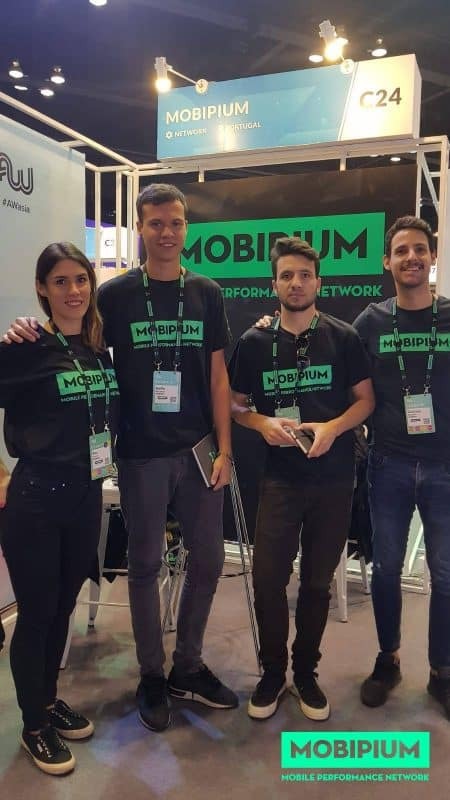 I’ve heard of Mobipium before and probably even seen your booth in some of the events, but would you please introduce yourself and the company? Hey Servando! First of all, thank you for your time. My name is Florencia and I’m a Business Developer at Mobipium. 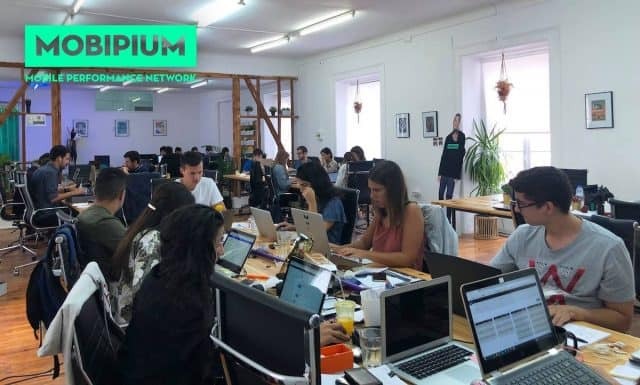 Mobipium started as the world’s First Digital Nomad Network and now we’re 60 people in the company, divided into a Sales Department, an internal Media Buying Team and an Affiliation Team, which I’m part of. We’re specialists in Mobile Content (carrier billing) but we’re also strong in other verticals, like Dating, Sweepstakes and CPI. 2. Where are you based? Do you have offices in different countries? Our HQs are in Lisbon-Portugal; but we also have an office on the other side of the world, in Buenos Aires-Argentina. That’s where I’m based. 3. I understand Mobipium is a marketing agency with internal media buying teams, but recently you decided to open your doors to affiliates. Why is that? Correct, we opened our doors to affiliates because at some point our clients started to demand more volumes that we could possibly deliver with our internal MB team. This situation “forced” us to look for more supply in external performance agencies. 4. Which type of offers do you have available in your network? Although we specialize in mVAS, we also work with Dating, Sweepstakes, CPI, E-commerce, Crypto, Insurance, Loans and Online Gaming offers, among others. We can monetize both mainstream and adult traffic. 5. Do you focus on offers for mobile, desktop or both? Most of the traffic we get from our affiliates is mobile, but also, most of our offers have responsive layouts. So, we are prepared to give our partners always a good monetization solution for the traffic, no matter if it’s mobile or desktop. 6. Do you work directly with advertisers? What differentiates you from other networks in the business? 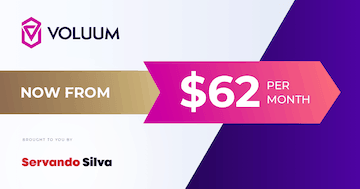 We know every network has its own strengths, what would you consider Mobipium’s best benefit/advantage for affiliates? Exactly, 100% of our offers come straight from the advertiser – we tend to avoid working with third parties, and if we do, is for testing matters with our Media Buying team. We have a pretty large Sales Department with 15 colleagues working hand in hand with advertisers. Therefore, I’d say our best attribute is that we’re in contact with most of the advertisers out there, so if an affiliate is looking for a specific offer and they can’t find it in our market, they can just ask their AM, and our Sales team will be able to get the offer in minutes. It’s also important to note that our internal Media Buying team gives us a big differential from other networks: we test every single offer we have at our marketplace, and that’s something not common in the industry. 7. Do you work with Smart links? Yes, we do. We have many affiliates who are webmasters, and this is their favorite choice. They can just setup our Smart link and forget about optimizations, we’ll squeeze every penny of the traffic we receive! 8. Where can affiliates sign up to Mobipium? Do you assign affiliate managers for every affiliate? You can sign up HERE. We assign a dedicated AM to everyone, but our platform is quite easy and therefore some affiliates choose to grab the offers directly from our market. 9. Do you have any recommendations for affiliates applying as publishers for Mobipium to get accepted faster? Make sure you reply to the e-mail we send and answer the questions listed there, so your affiliate manager has all the information they need to assist you better. You can also add your AM on Skype for a faster communication. 10. What about payments terms? They’re flexible. We can pay via PayPal or wire transfer. Weekly, biweekly or monthly depending on the volumes and quality of the traffic. And there’s no minimum payment, something that’s very valued from affiliates that do not manage big amounts of traffic. 11. What are some trends you’re seeing in the industry? What do you think is going to be hot during this year (2019)? Regarding Mobile Content, at the end of last year we saw that many markets that were historically good started to fade away, mostly because of regulations. This forced aggregators to develop new GEOs like MM, KH, MY, KW, which we are now loving! Easy flows (1 or 2 click – no PIN or SMS confirmation) plus cheap traffic is what make these segments so attractive for us and for our affiliates. This is why we expect the emerging markets to keep up the good work in 2019! In addition to that, we’re seeing that people in the industry are focusing their attention to the “evergreen” verticals such as Dating, Sweepstakes and E-commerce. That’s why we’re going into more depth in these areas. We’re even developing our own products for E-commerce… and just launched 2 of them last week! 12. Are you attending any events in 2019 where people can get to know you more? Yes! We just came back from MWC and TES. Next shows will be AW Barcelona, DMEXCO Cologne, TES Prague, World Telemedia Marbella and AW Bangkok, to name the most important ones. Thanks so much for your time. We’re hoping to meet you in a conference soon! Let’s make conversions and money! Hola Servando, aplique a esta red, pero para correr oferta CPI, me piden rellenar un disclaimer y una de las preguntas es: Can you pass IDFA, GAID, Appnames and Subsource? Sabes a que se refieren y que debería responder para ser aprobado? Aplicaste como publisher o como advertiser? Normalmente eso es para promover apps que son tuyas o promover tráfico desde otras apps.